Another company still around until recently, when they were bought out by Eidos Interactive, and disbanded. 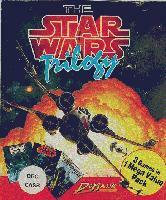 They produced some good games, especially in the 3d area, particularly their version of Star Wars, which has great graphics and gameplay. 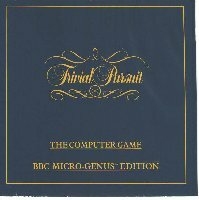 They didn't really go in for the BBC Micro, but what they did was generally quite good. Another thing was that they had another label, Macsen, which they released a few games under, particularly their licences of TV Game Shows. 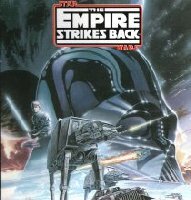 This is a good sequel to the first Star Wars game, rather than trying to improve on an already winning formula, this game just adds a greater variety of play to the original game. The 3D graphics look nice, and although not as high-resolution as in Elite, they still move pretty quickly around the screen, making the game more action than strategy. 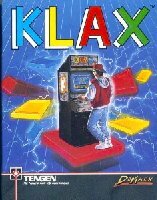 Entertaining puzzle game, originally in the arcades, whereby dominoe style tiles come towards you on a conveyor belt, and you have to arrange on a grid to make klax's which are groups of 3 tiles of the same colour. It gets hard because you are not allowed to let any drop from the conveyor belt, if you do you lose a life. It's like Tetris but harder! The graphics are nice and the gameplay is first class, one of the best puzzle games on the Beeb. 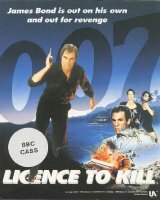 Nicely programmed game from the James Bond film. The graphics look good, although it's only 2 colour. It reminds me of the sort of game that was widely used on the Spectrum, but it plays well. A nice mixture of gameplay, one minute you're flying helicopters the next minute you're trying to shoot down the bad guys on the ground with the trust PP7! Probably the first James Bond game ever, in this you are in control of Commander Bond himself, as you rush through the levels, shooting everyone with the trusty Bond gun. At the end of each level is a big boss, and they are very tough. The graphics are nicely done, and brightly coloured, and the gameplay is also good, if a little unoriginal. It is a pity the movie was so bad! 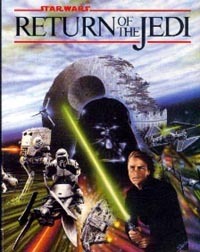 This game is a shoot-em-up in isometric 3D and features a variety of levels, all locations from the film, you ride hover-bikes through the forest of Endor, run using the AT walkers and then fly the millenium falcon through the Imperial Fleet. The only problem is that the levels seem to last for about 10 seconds and are quite easy. The graphics are good, and the 3D engine is impressive, but it just feels way too easy. 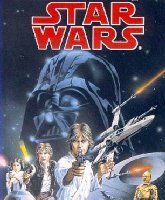 Probably one of the first ever 3d games, this was really good, the game is made up from the major points of the first films story line, first you have to fight TIE fighters, then you move up the levels and finally onto the Death Star trench run, a very exilerating experience. The wireframe graphics move well, although not as well as in Elite, and to keep things as fast as possible, their is not always as much action on the screen as would be beneficial. The graphics are low-res, but good quality and the sound is also quite good - although there's no tune from the film! The three Star Wars games packaged together, not bad value this. A conversion of the hit boardgame, this was actually quite good. You can play against the computer, although it is not very satisfying, as the computer knows all the answers anyway! This game came in a wide range of question sets, from the childrens editions to the genus edition, and the graphics are good, laying the board out just as in the real game. It doesn't really offer anything better than the board game itself though. Also released were Young Players and Baby Boomers editions of this quiz game.